Spring has arrived and Easter is on the way. Guess who is working hard to pick out all of the perfect goodies to fill baskets with? You guessed it: The Easter bunny! With all of the budget friendly options, I have a feeling that he’ll be making a visit to Family Dollar. 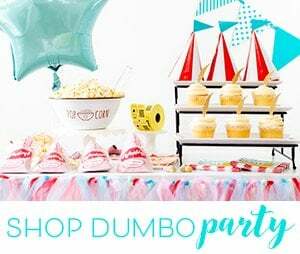 Consider me the ultimate bunny helper; I went and scoped out all of the best ideas this year. 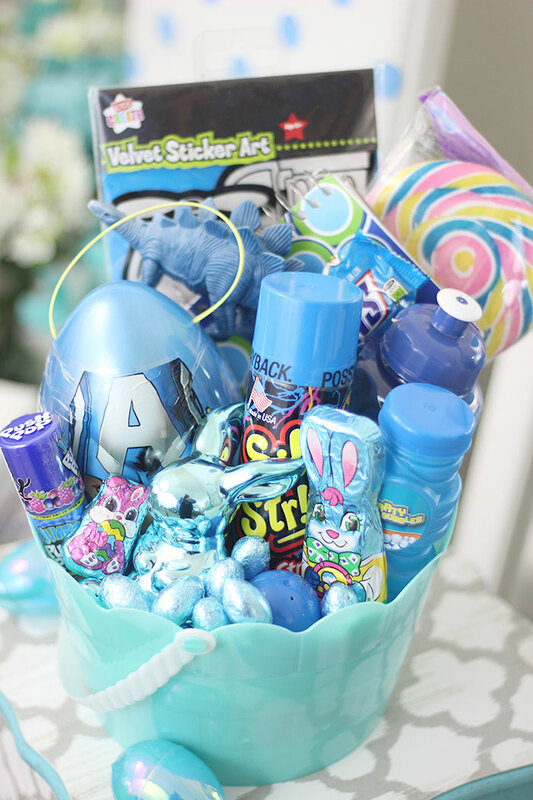 I love the idea of making themed baskets, so I put together this big list of ‘Color Themed Easter Basket Fillers’ and ideas to make this holiday extra memorable. 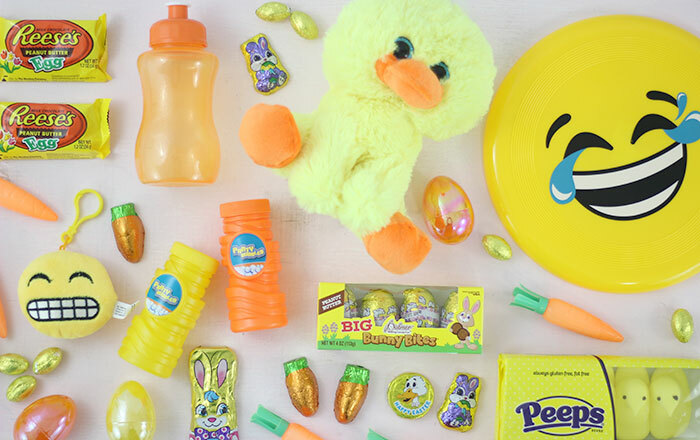 There are so many fun options from Easter goodies and toys to traditional treats. This post is sponsored by Family Dollar. The best part about shopping at Family Dollar is that you can easily stick to your budget. So many of the Easter basket fillers I found were anywhere from $1-$3 at my local store. 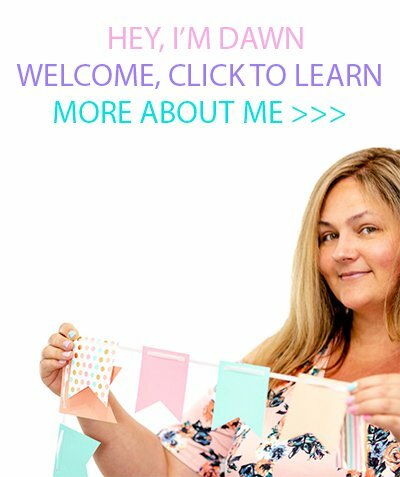 Make sure to check for $1 Wow finds for the best affordable fillers. 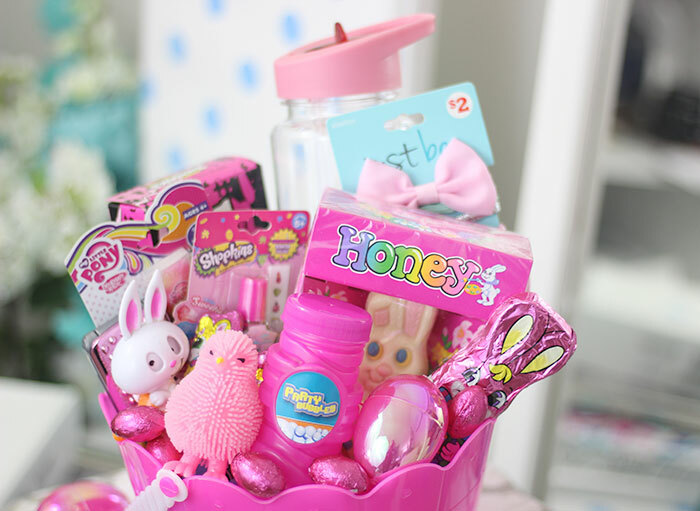 You can also find seriously cute Easter baskets and fun traditional plastic eggs, too. 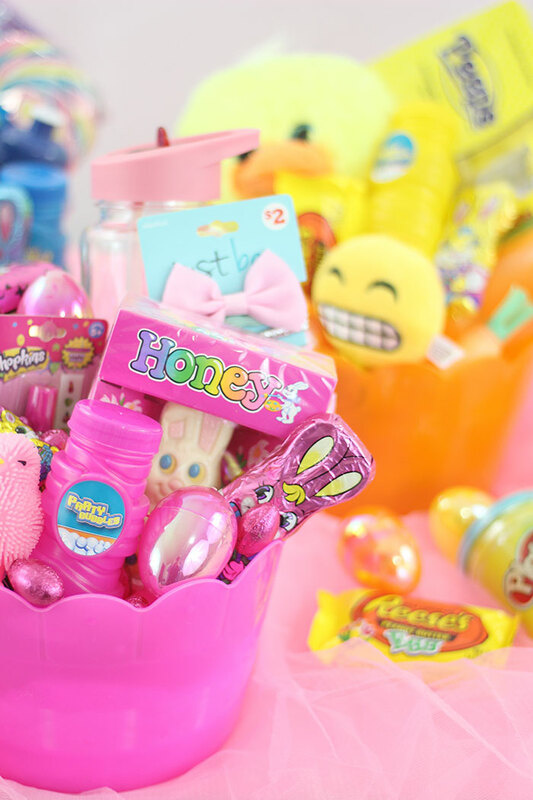 Get ready to help the Easter Bunny fill those baskets with these colorful ideas. -Pink Plastic Eggs found in colored multipacks. There are also specialty colors like the pretty iridescent eggs I found. -Pink Wrapped Easter Chocolate found in multipacks with a variety of colors. 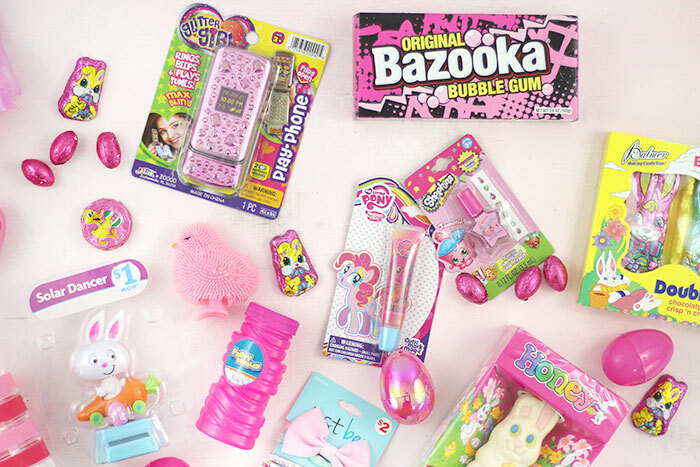 -Bazooka Gum and other pink packaged gum. -Pink Bubbles found in multicolored packs. -Pink Stuffed Animals. I found an adorable white & pink Unicorn which is a Plush Stacking Animal. So cute. -Blue Plastic Eggs found in colored multipacks. 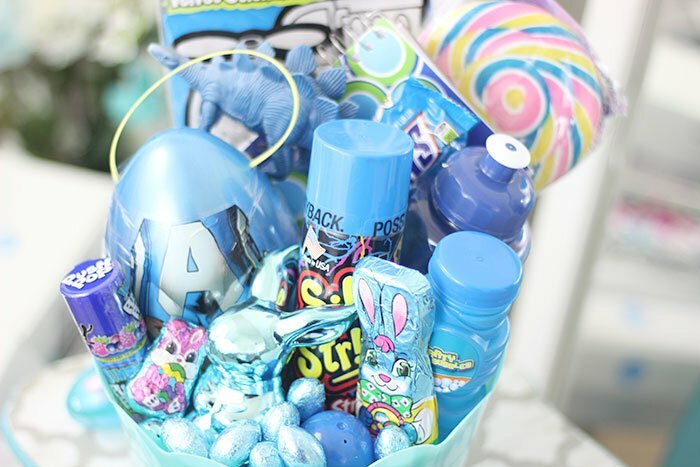 -Blue Wrapped Easter Chocolate found in multipacks with a variety of colors. -Blue Bubbles found in multicolored packs. -Orange and Yellow Plastic Eggs found in colored multipacks. -Yellow Wrapped Easter Chocolate found in multipacks with a variety of colors. -Yellow and Orange Bubbles found in multicolored packs. 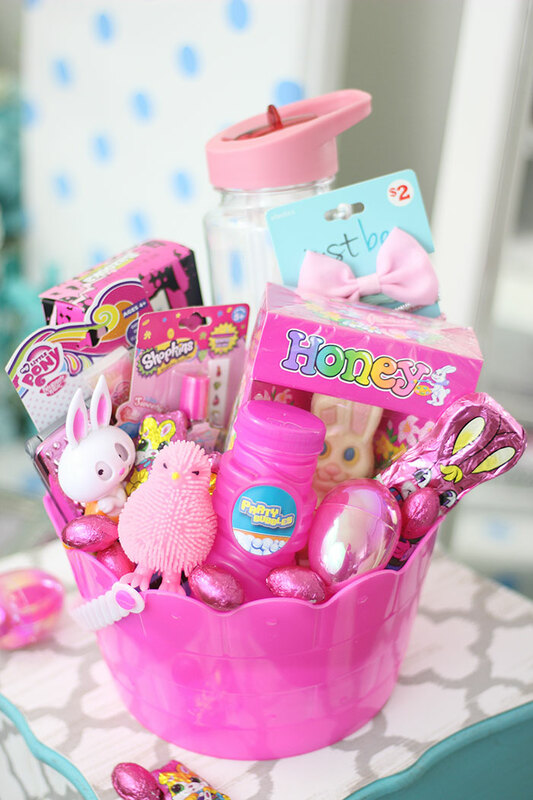 Hope these ideas will help put together the best Easter baskets ever. 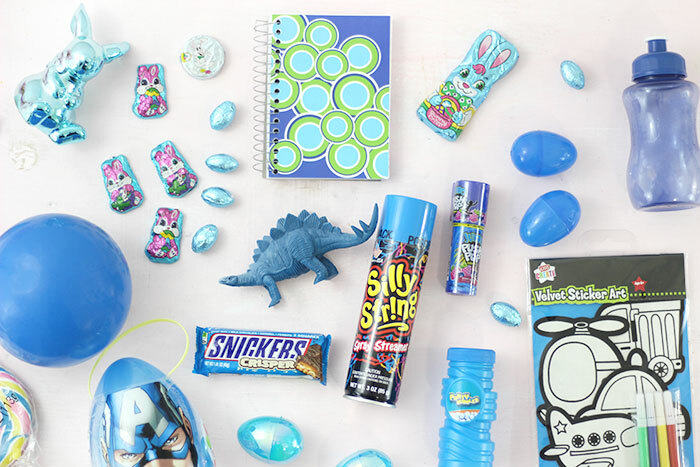 Mix and match to help the Easter Bunny create new favorites. Here are some ideas on grouping your basket fillers together. 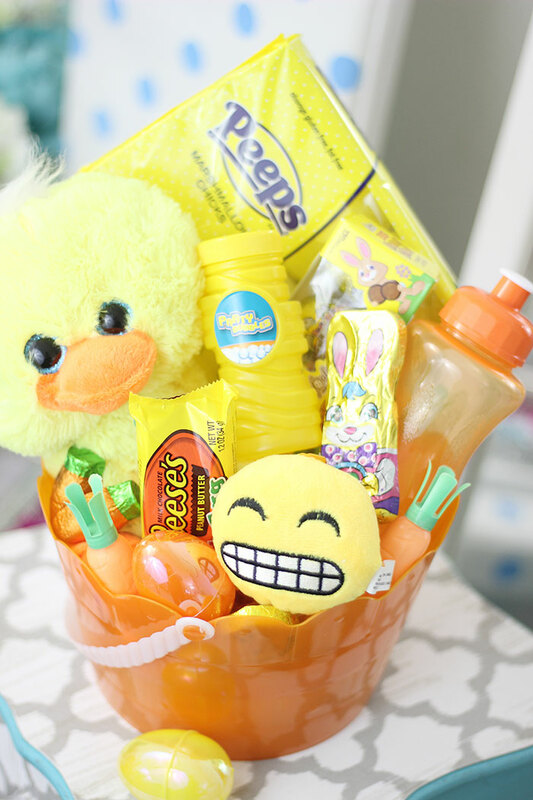 Need more help putting Easter Baskets together? Find more inspiration on the Easter Celebration page at Family Dollar. 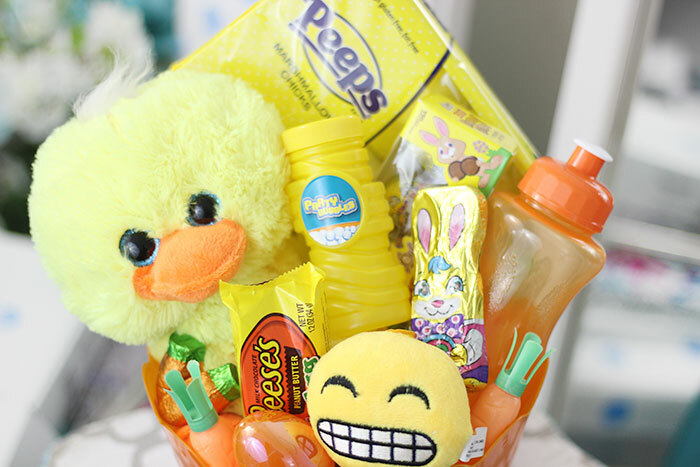 Which color basket is your favorite?